The greenhouse in all its snowy glory. Well, we’re not ones to disappoint. Now, these pictures may look a lot like others from years past. This year, however, they are special. What makes them different from pictures of the greenhouse from all other years? Did we take the pictures while reclining? Are they unleavened? Dipped in salt water? Sorry, couldn’t resist a little Passover humor there. Seeding onions is a tedious and never-ending job. 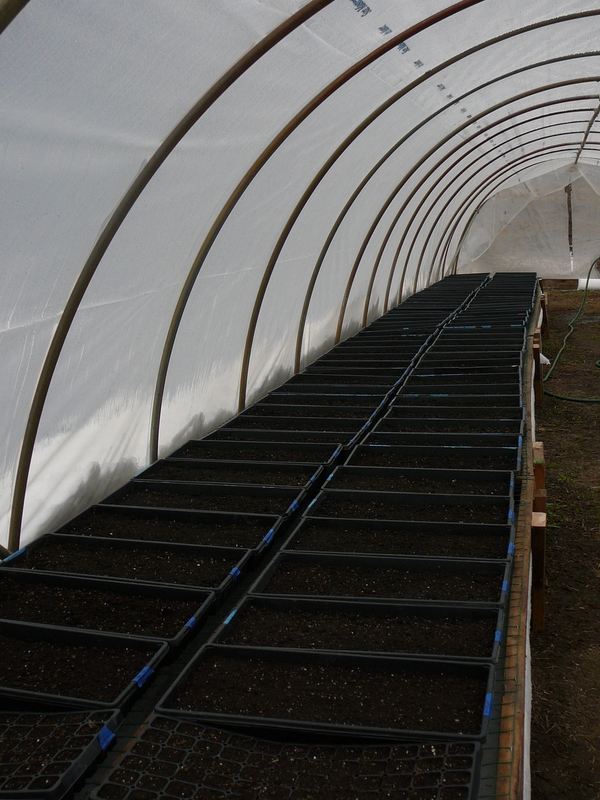 These pictures are different because they show our greenhouse on the new farm. 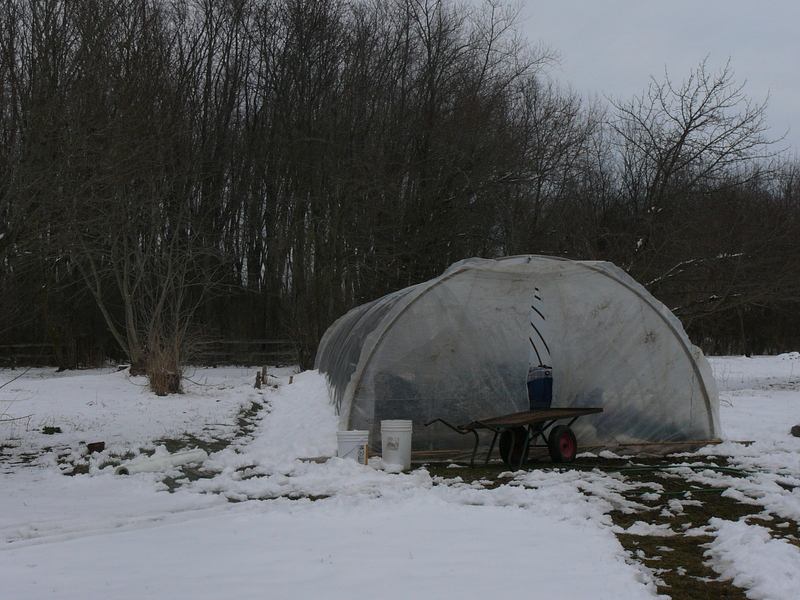 A greenhouse that Nick built over the past week, using, by and large, a collection of materials that were just laying around. Materials that might have been seen by some of us as having little value – materials that some of us may have even encouraged others of us to discard at some point in the last five years. Materials that a wise man once described, not as junk, but rather, “inventory”. Obviously, I’m proud of Nick and his ability to build useful things, sometimes seemingly out of thin air. But what really gets me is his ability to look at a pile of lumber, an old barn, a fallow field, and see what they will look like when the tables are built, the pigs come home, and the crops are growing. This is what keeps our business growing and evolving, and it’s another great reason to keep him around. 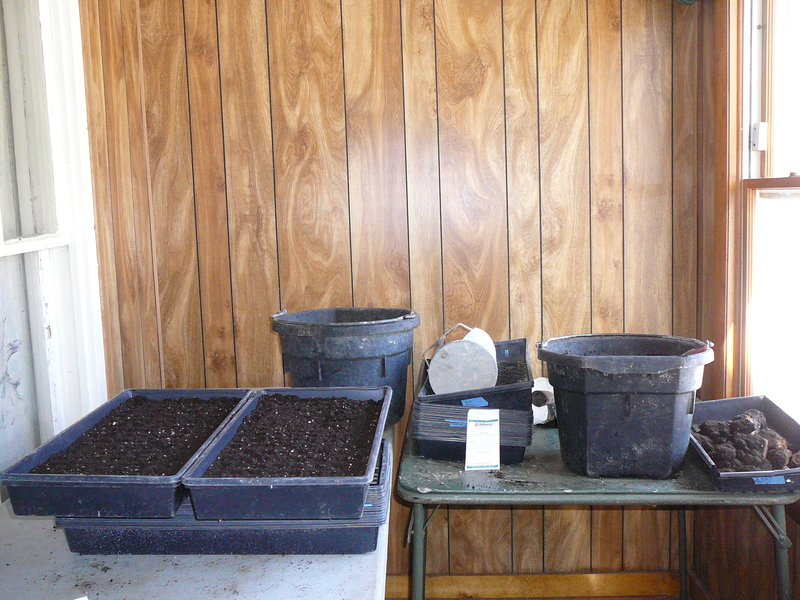 My seeding nook on the front porch!